Matthew & Shawn review the week that was in the EPL and the week that was was packed with matches. Plus a look ahead at this weekend’s FA Cup action. All presented by Lynagh’s Irish Pub. On this week’s EPL 1300 presented by Lynagh’s Irish Pub Matthew & Shawn take a look back at a loaded EPL holiday schedule and look ahead to an equally busy post-holiday week in the league. Matthew & Shawn talk MLS expansion and Manchester City. Plus a look back at the big matches of last weekend and ahead to the big matches this weekend. 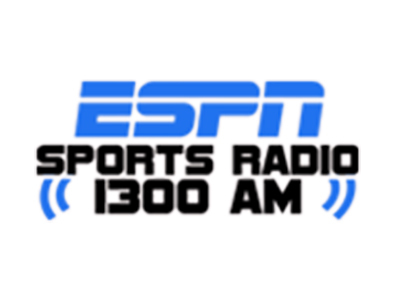 This week on EPL 1300 presented by Lynagh’s Irish Pub, Matthew & Shawn visit with FC Cincinnati President and GM Jeff Berding and take a look at the Champions League knockout round draw. On this week’s EPL 1300 presented by Lynagh’s Irish Pub, Shawn Seay fills in for Collie Taylor. He and Matthew “Lauro” Laurance talk EPL in the Champions League and much more. Matthew & Collie are back after the Thanksgiving holiday to talk EPL and MLS playoffs. This week Matthew & Collie take a look at the World Cup qualifiers and the Louisville City FC victory in the USL Cup. Matthew & Collie talk English Premiere League results, look ahead to Louisville City FC in the playoffs, and talk to Transy Men’s Soccer coach Matt Vogel about the upcoming NCAA tournament for the Pioneers. Matthew Laurance & Collie Taylor talk last week’s EPL matches, European matches, and look ahead to this week’s matches.